Wreckeroo Car Wreckers Melbourne - Sell Your Unwanted Car Instantly! We buy your unwanted car instantly & pay cash on the spot. Melbourne’s top & most trusted brand in car wrecking industry. 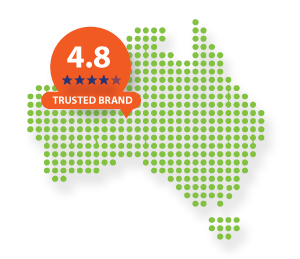 Wreckeroo has been in auto recycling field since 2004 and has successfully built up strong customer database with over 5000 mechanics and 2000 panel beaters on board across Australia. We decided to expand our service to the General public this Year and here we are, you can count on Wreckeroo to be your first choice for your car parts needs and Cash for Cars Service.We are rapidly expanding our service across Australia, Rude Car Wreckers is a thing of the past now, Wreckeroo has changed the behavior of Wrecking and auto recycling industry we have put more female staff and it is a strong message to the community. We wreck used or old cars & pay top cash for it on the spot. Looking for used car parts for a cheap price? Try us today. Saving environment & our earth with scrap vehicles recycling. Stop wasting your time putting adds online, sell it instantly. Wreckeroo has made Auto wrecking industry full of fun and friendly environment, you will be treated very well even if you decide not to use our service. If you are a Mechanic who needs auto parts on regular basis do not forget to sign up with us as a member there are heaps of benefits of our member area. We Offer Instant Cash for all kinds of old and unwanted cars we also buy damaged cars that have been written off by the insurance company. Selling your old, Damaged or scrap vehicle is super-duper easy with us. Simply fill the quote online or call us on the provided number. We will check your car details and provide you the best cash possible for your unwanted cars, Trucks, Vans or even 4×4 vehicles. There are thousands car wrecking & cash for cars company in Australia, but to find the best one is time wasting. Just simply call us or get a quote online. We promise we will pay top beaten price for your vehicle. Unlike other wreckers, we do not charge for towing your vehicle. Just pay you cash on hand for your quoted price on the someday. Depending on your vehicle condition we pay you cash on spot. Payments can be done in cash or account transfer on the same day, not just we pay top cash but also we can beat any car wrecking company in Australia by price & trustworthiness. Very quick & reliable service. My car was picked last day and it was very easy process to deal with you guys. Thanks you so much !! Amazingly fast pickup and money paid on the spot. You guys just made my weekend. dint knew i can scrap my car for good money on the spot.